Nestled in the pine trees and red clay dunes surrounding Morning Glory Lake in rural Mississippi lies the magnificent Boy Scout Camp, Salmen Scout Reservation, commonly referred to as "Camp V-bar". Beginning on Saturday, November 17th going through Wednesday, November 21st, volunteers leaders, and Scouts are going to be embarking on Camp for fun and adventure at the Annual Boy Scout Thanksgiving Camp. This year's theme will be "V-Bar Technical Institute". At Thanksgiving Camp, you will enjoy outdoor camp living and earn merit badges not normally offered during summer camp, particularly those required for Eagle. While at camp you will enjoy living with your troop in a similar manner as Summer Camp. Thanksgiving Camp will also continue with the traditions. The Pathfinder Program for first year Scouts will be offered as well as more than 25 diverse Merit Badge Classes. 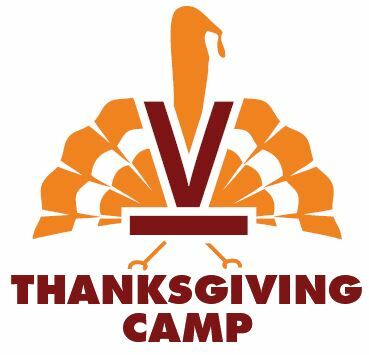 Thank you for taking the time to check out our annual Thanksgiving Camp this year. This camp will be a blast! It will be jammed packed with lots of activities. Come out and have fun! After 11/2/2018 a fee of $40.00 will apply to all Scout Registrants.